This is very simple problem. If you know the way to find even/odd numbers and maximum number then you can easily solve this problem. 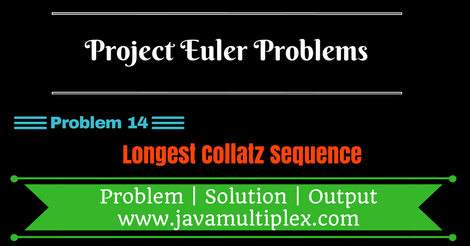 * @Problem 14 - Longest Collatz Sequence.